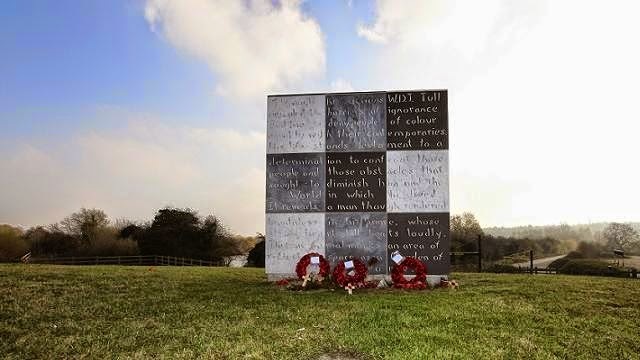 Every year at 11am on November 11, millions of people around the world stop to remember those that fought and died in armed conflict. One of the countless scores of men that lost their lives in the First World War was Walter Daniel John Tull, who although his life was tragically cut short he left his mark on both British football and military history. 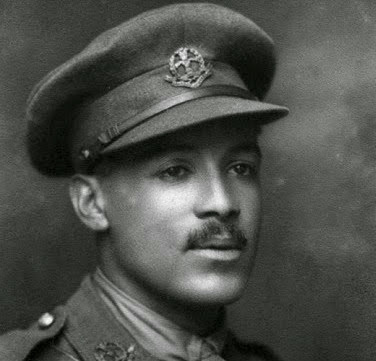 Born to a Barbadian carpenter named Daniel Tull, the son of slaves in Barbados, and a woman from Kent named Alice Elizabeth Palmer, Walter Tull was born in Folkestone in 1888 and would endure a very difficult upbringing. At the age of seven his mother died of cancer and within two years his father had died of heart disease. As a result of this, Walter and his brother Edward were sent to live in the National Children's Home Orphanage in Bethnal Green. With his brother later being adopted by a family in Glasgow and subsequently becoming the first black practising dentist in Great Britain, Walter found his calling in sports. Excelling as a footballer in London's tough East End, he became the star of his school team before being spotted by top London amateur side Clapton FC. During his lone season with Clapton in 1908/1909, Tull helped the club to victory in both the London Senior Cup and the FA Amateur Cup. 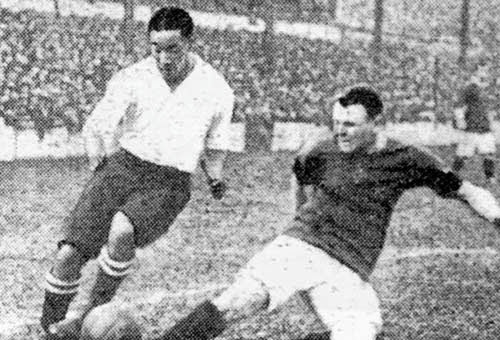 His pace and ability in midfield was quickly recognized by Tottenham Hotspur, who signed Tull prior to the 1909/1910 season. 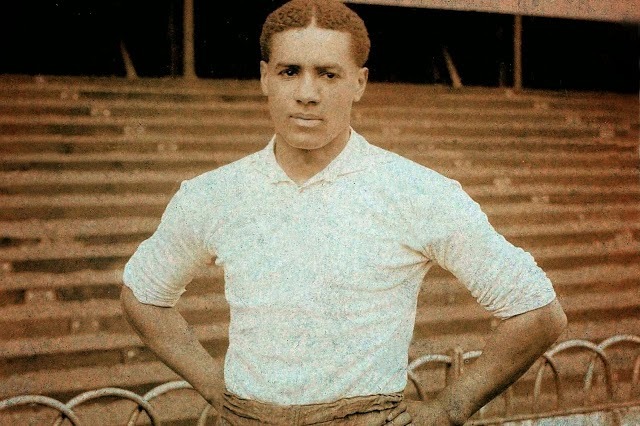 Upon debuting for Spurs against Sunderland, Tull became the second black or mixed-race player in English professional football history, after Darlington goalkeeper Arthur Wharton, and the first to play in an outfield position. Coming in for some horrific racial abuse at some grounds, Tull was limited to only ten matches for Spurs over two seasons before transferring out to Northampton Town, then managed by the legendary Herbert Chapman, in October of 1911. In his three seasons with The Cobblers, Tull made 111 appearances for the Southern League side. As his contract was coming to an end with Northampton, Tull was on the verge of joining Glasgow Rangers so he could be closer to his brother, but fate was about to deal him a very different hand. On June 28, 1914 in the Austria-Hungarian controlled city of Sarajevo, 19 year old Gavrilo Princip acting on the orders of the Serbian separatist group 'The Black Hand' assassinated Archduke Franz Ferdinand of Austria and his wife. This set off a chain of events that led the world to war. As Britain entered into this terrible conflict, Tull became the first Northampton player to enlist in the army and by December 1914 was on his way over to the frontlines in France. In combat Tull proved to be as strong and skillful as he had been on the football pitch, but this time with his life and those of his comrades at stake. 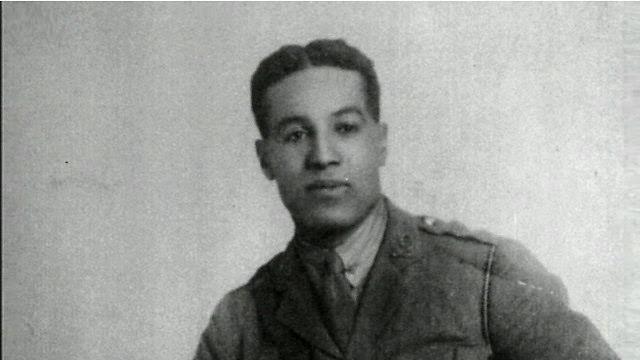 Promoted three times, he was to eventually become the first black officer in the history of the British Army as he earned the rank of 2nd Lieutenant. This was at a time when black soldiers were not allowed to hold such a rank. But after his bravery at the Battle of the Somme in 1916 his superior officers decided to bypass this ruling. After he displayed, in his superior officer's words, "gallantry and coolness" while leading 26 men on a dangerous night raiding party in Italy in 1917 and returning back to the line without any of them harmed, Tull was considered for the Military Cross. Like many who served in that conflict, Tull suffered from shellshock and once spent three months in hospital recovering. He returned to action, but was unfortunately killed at The Somme during the Spring Offensive on 25 March 1918.